A truly British Hamper, perfect for enjoying the Wimbledon games. Presented in a luxury handmade wicker basket we have added all the essentials! Perfect to take to the park or to send to a Wimbledon enthusiast. 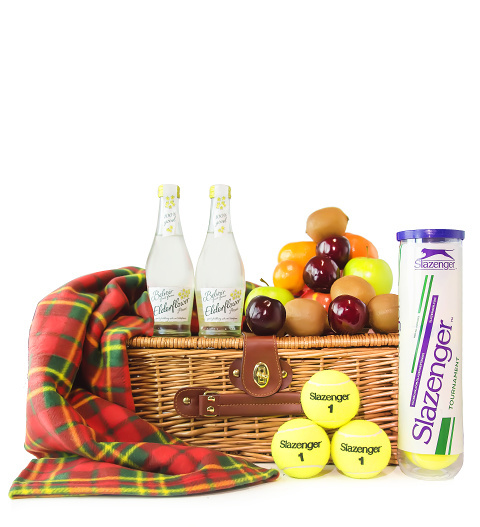 With juicy fruit, a tasty beverage, tartan blanket and Slazenger tennis balls, the Wimbledon Hamper has it all. This limited hamper gift is available for UK next day delivery.